I just watched a Thailand news report from the chief of police. The video is in Thai, therefore, I will translate it. Currently, there is an outbreak of a new drug in the town known as “Ya Sie Sao” directly translates to medicine for “loose woman” or “woman breaker”. The drugs are typically packed in capsule containers and are colourless tasteless and have no scent at all. It easily dissolves in drinks such as soda, beer or liquor. It can be even added to water! The drug is commonly used for the breeding of horses and normally add into the horse’s diet to increase the chances of mating. The effects of the drug include lost of control and activates uncontrollable sexual excitement, the victim will typically feel the immediate need to “do it”. After which the victim will blackout and not remember what happened. 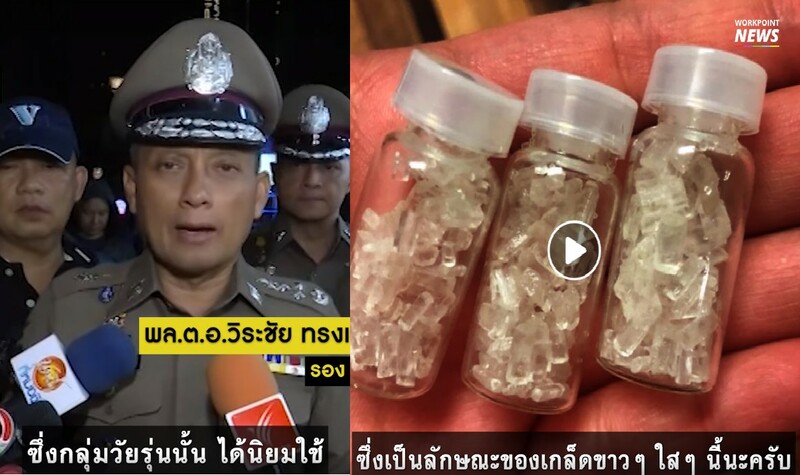 The reason the Thai Police conducted a raid in the city is that the drug is so easily obtained that it is even sold in the night market and in sight! Royal Thai Police advise not to take drinks or food from strangers as this can be used on any consumables. The victims that reported the case are normally clubbers that offered drinks from strangers or had the drug slip into the drink. Please share this to all friends and families.